Changing Seasons Farm grows a wide variety of vegetables using organic methods, and is Certified Naturally Grown and Certified Salmon Safe. 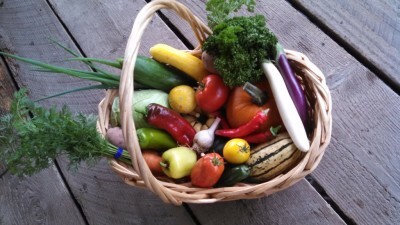 CSA members receive a weekly box of fresh vegetables from our farm. We offer 15 weeks of produce from late June through early October. A full share will feed a family or a couple with a vegetable-oriented diet. The early season boxes are lighter, but the mid and late-season boxes more than make up for it. If you are interested in becoming a Changing Seasons Farm CSA Member please send email to laura@changingseasonsfarm.org , or call Laura Casey at 425-591-0369. See the Contact Us webpage.